The management team at Auckland Central Library worked with Paul White, our Director of Design, on a project that would revolutionise the Central Library’s front of house, arguably the busiest in New Zealand. 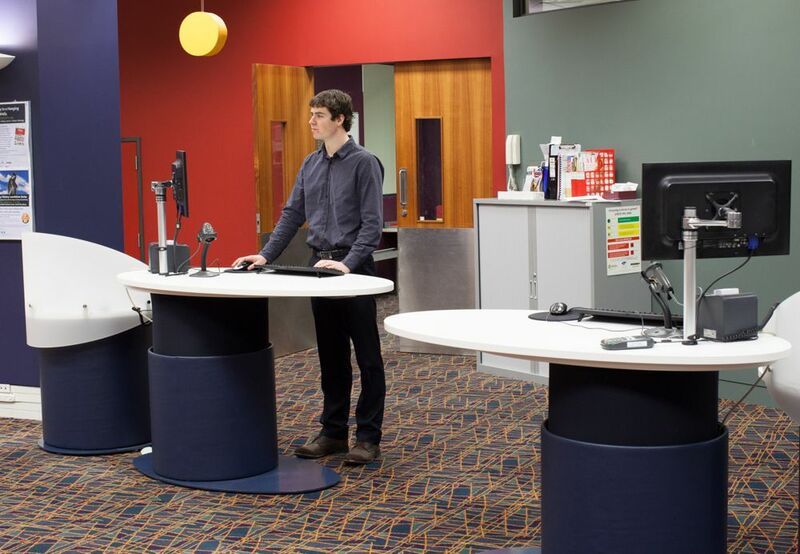 With ever increasing self-issue use by library patrons, fewer staffed issue points were now needed, however, with the wide variety of facilities available in the library, easy access to staff for assistance and direction remained paramount. 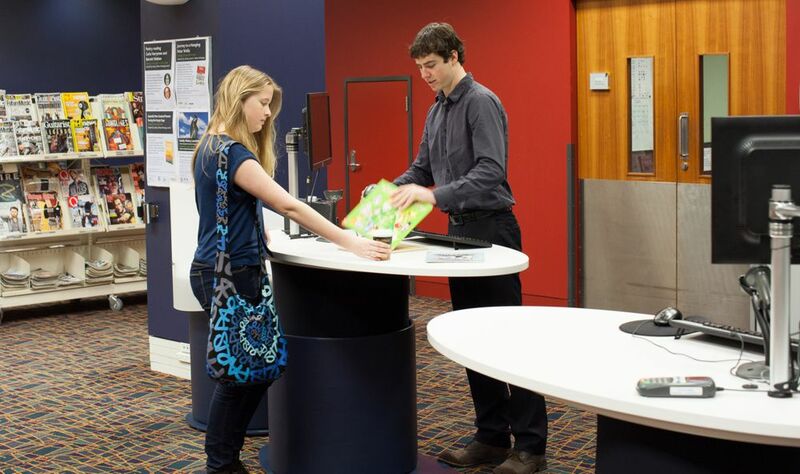 The design of the new staff stations was to capture the spirit of Auckland Council’s commitment to Aucklander’s through its extensive library network. Paul suggested minimalist designs from our YAKETY YAK family, reflecting the spirit of ‘open library’. 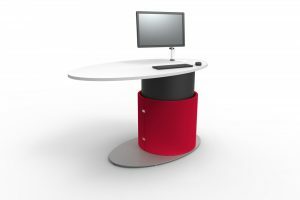 YAKETY YAK, with its stylish curves, seated to standing height adjustability, flexibility of placement and its interactive nature, ticked all the boxes. The completion of the project coincided with the library’s hosting of the Metropolitan Libraries conference, ‘Intrepid Journeys’, attended by library leaders from around the world. 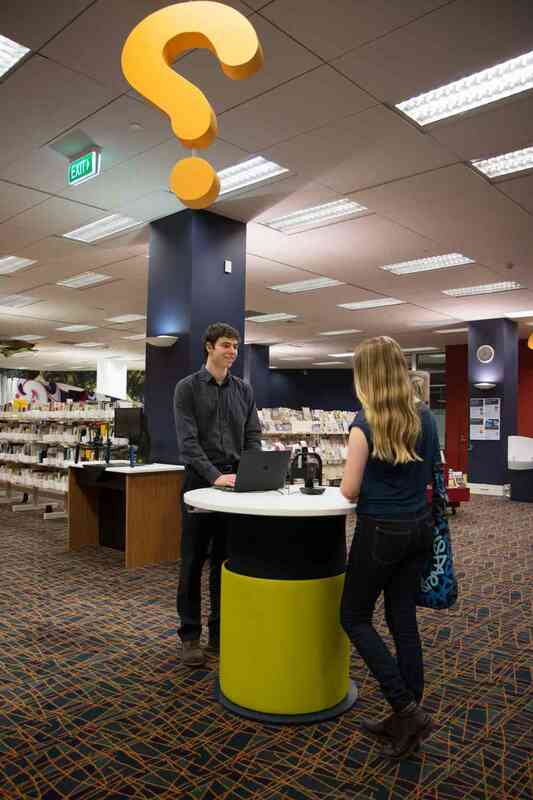 With a focus on ‘Libraries at the edge of discovery’ and encompassing ‘Exploring new possibilities’, this was an exciting opportunity for Auckland Libraries to reinforce their position as leaders in the forefront of library evolution. The new front of house configuration consisted of a central welcome point with issues stations to the right and a help station cluster to the left. 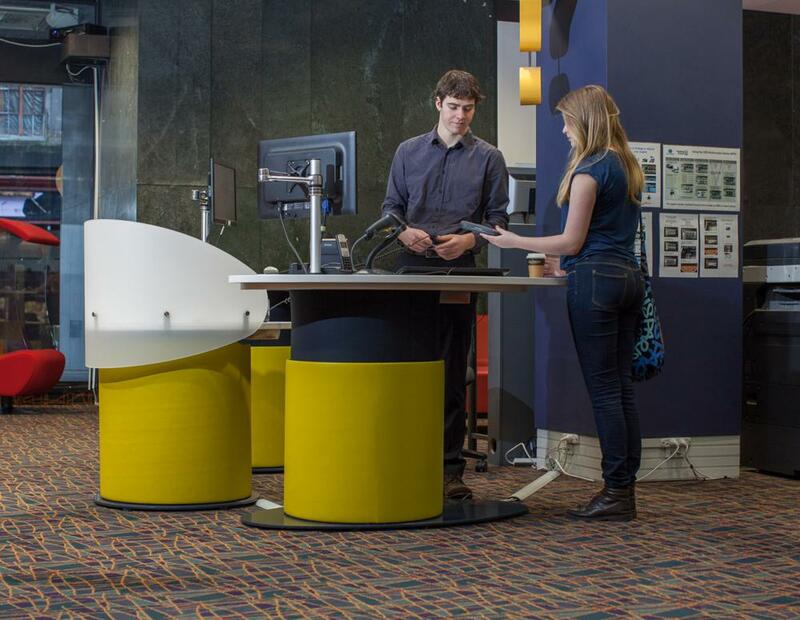 Movable and adaptable, this YAKETY YAK installation meets the needs of today and provides future proofing against the ever-changing library environment. YAKETY YAK ROUND 1000 was specifically designed for this project and provided a compact, eye-catching welcome point. 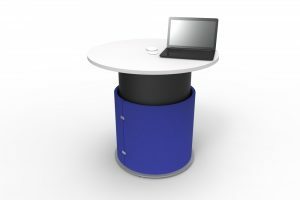 YAKETY YAK OVAL 1600, teamed with YAKETY YAK ROUND 1000 and YAKETY YAK Cash/Eftpos Module, to form a dynamic help cluster – an inviting place to be informed and inspired, either at seated or standing height. Two YAKETY YAK OVAL 1600’s each with YAKETY YAK Cash/Eftpos Modules formed the issues area.